It never fails, at this time of year you can count on dry hair & skin. This weather makes me dig deep to find the best remedies to stay moisturized from head to toe. Sometimes the best solutions are found right in your kitchen. That’s why I wanted to share some of my favorite DIY winter hair & skin care masks. Using a spoon, scoop out the avocado from its shell and place into mixing bowl. Add 1 tbsp. each of honey and olive oil to the mix. Add a few drops of your favorite essential oil. I love peppermint oil because of how it stimulates the scalp. Lastly, use your fork to break up the avocado and blend the oils together. Tip: Hate chunks? Try using a hand blender to smooth out the mask! Before applying be sure to start on damp, detangled hair. It’s perfectly fine to start with your co-wash first but keep in mind that you will need to rinse this out well. If you’re messy like me, I advise you to wear a towel around your neck. Apply the mix using your fingers from root to tip. You will quickly feel a difference in the softness of your hair! Leave the mask on for 20 minutes--add a disposable shower cap if you like--and continue with your wash routine. Try this hydrating mask--it doubles as a tasty smoothie! Begin by breaking up the banana and adding it to the blender. Then add 2 tbsp. each of coconut milk and honey. Blend the mix until smooth. Strain this mixture into a bowl. Unlike the avocado hair mask, I find this mask more difficult to remove, so don't skip this step. 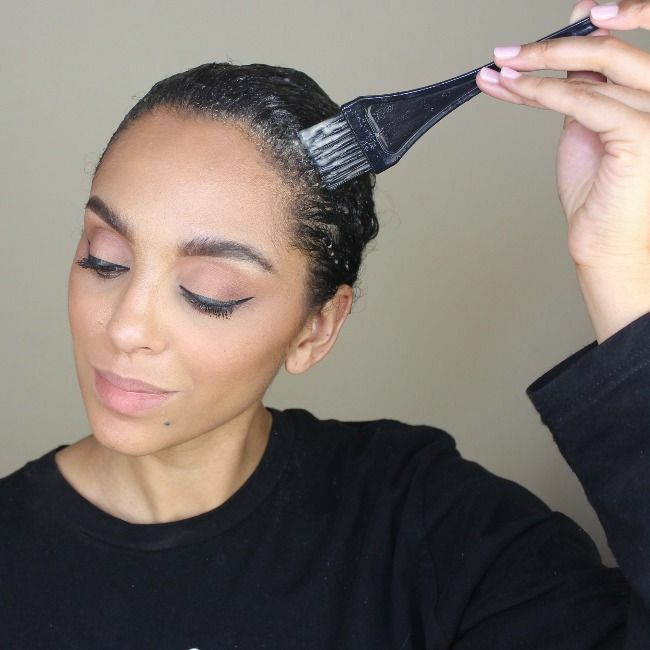 Use a hair color applicator brush to apply as well as my hands, since this mask is also more liquid based. Wrap your hair up and apply a disposable shower cap. Leave the mask on for 20-30 minutes.Optional: Apply a heating cap over your cap to penetrate the mask deeper into your hair. Rinse the mask very well in shower and continue with your normal wash routine. Why should your hair have all the fun? Try this wonderful skin care mask that hydrates, gently exfoliates and soothes my dry skin. Using your fork, mash the banana until it has a creamy consistency. Add the oats, honey and water. Blend this mixture well until the oats are well absorbed. Apply the mask to your face, using the oats as a gentle exfoliator. Using a wash cloth, gently remove the mask and rinse well. Subscribe to my channel, DiscoCurls, so you never miss another video!